For starters, it can be beat for a fraction of the price. One hundred and thirty large is a fairly large sum of money for a car. Small houses can be purchased for less, but to justify the cost, BMW started by making the M4 GTS a very rare car indeed. With the LaFerrari and LaFerrari Aperta combining for a total production run of 700 units, the M4 GTS is just as rare as Ferrari’s most extreme road car. 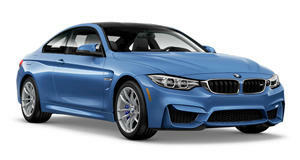 Next, BMW amped up the performance metrics on the car using a special water injection toy. But are these upgrades worth the price? Well, according to Motor Trend’s Jason Cammisa, maybe not. Not that the M4 GTS is any bad, it’s just that the bar for new cars has been raised so high that the performance and experience delivered by the M4 GTS is attainable at much lower prices. A lower financial barrier to entry isn’t always important, and BMW intelligently made the GTS’ production run so low because no sane gearhead would buy into that sort of performance per dollar ratio unless they were serious fans. Still, even if the M4 GTS isn’t worth the price, it remains an important car for the M Division because it proves something. That would be that, despite the softening of its recent batches of cars, BMW M still knows how to make a great car.